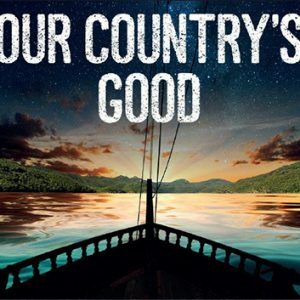 Our Country’s Good, produced by Nottingham Playhouse in conjunction with Ramps on the Moon premiered at Nottingham Playhouse in March, before touring to other venues in the consortium. Colin Hambrook caught the production at Theatre Royal Stratford East on 25 April. Here he reflects on the play’s themes, as resonant today as in 1988 when it was written. 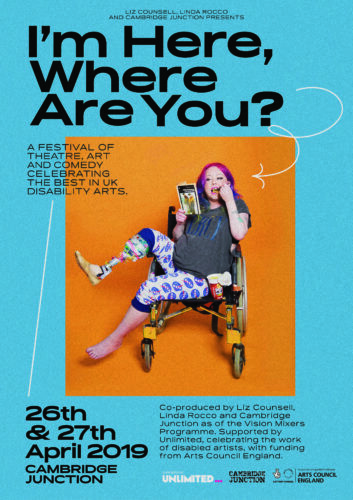 Ramps on the Moon is a consortium of six theatres that each year takes a turn to produce a touring show featuring a cast of D/deaf, disabled and non-disabled actors. 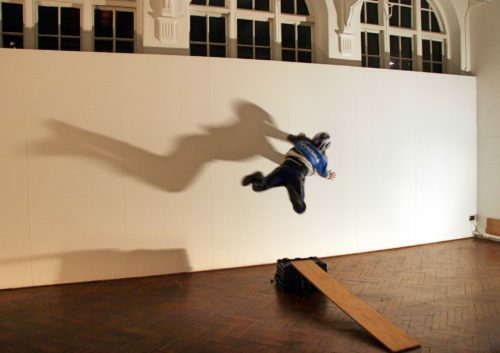 Each year the choice of play has been considered and relevant to disabled peoples’ lives. 2016’s Birmingham Rep production of Gogol’s The Government Inspector explored bureaucracy and power. 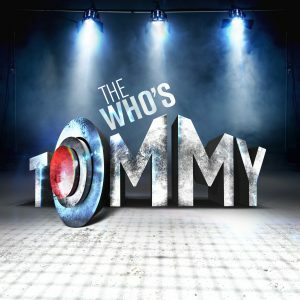 Tommy produced by New Wolsey Theatre in 2017 explored the impact of the systematic abuse of children. This year, Nottingham Playhouse’s epic production of Our Country’s Good takes on themes of colonialism, culture and language. 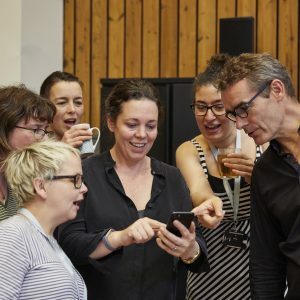 With Graeae as the strategic partner allied to a consortium of six producing theatres, you can be assured that each Ramps on the Moon production will have deaf access integrated into the production as a key dramaturgical device. 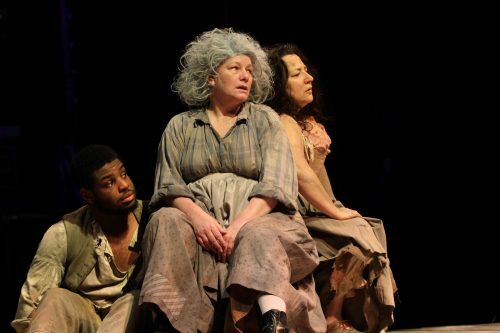 Questioning the power of the arts to create social change, Our Country’s Good is a 1988 play written by Timberlake Wertenbaker, based on the story of the first play ever staged on Australian soil. The story focuses on a year in the lives of a group of Royal Marines and convicts in a penal colony in New South Wales in the 1780s. Under the instruction of the outwardly benevolent Governor-in-Chief (Kieron Jecchinis) the prisoners are coached in learning George Farquhar’s The Recruiting Officer, with rehearsals conducted by Second Lieutenant Ralph Clark (Tim Prichett). The convicts argue over the parts, question who their characters are and bid to change the lines. But they grow in confidence, and reclaim their voices from a brutal, repressive system. The British Empire was and is an ugly thing. Colonialist attitudes lie at the core of the English language and under that premise Our Country’s Good explores the notion of who is ‘English’ and what is ‘Englishness’. John Wisehammer (Tom Dawze) insists on his innocence. Born in England to immigrant parents, he is still considered not English because he doesn’t have the English mindset – a relevant conundrum in the age of Brexit and the Windrush fiasco. 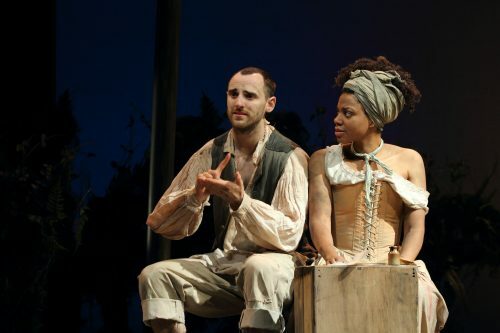 The implication throughout is that the convicts’ conversations held in sign language are the one factor that alleviates their oppressive reality. They gather in clusters observing the dialogue between officers, such as a scene in which Clark is fighting a losing battle in persuading his fellow officers of the worth of his theatre production. The signing is a symbol of freedom. The land, language, identity, sexuality, gender have all been taken over, but the one aspect of their lives that the group owns is their immersion in Deaf culture. It is integral to the group – and is the one aspect of their identity in which they are fully themselves. Under debate throughout Our Country’s Good is the question of the purpose of the theatre, who it is for and who it belongs to. Dabby Bryant (Fifi Garfield) is a force to be reckoned with. She wants to see real life on the stage but in a way that gives the audience an opportunity to use their creativity. 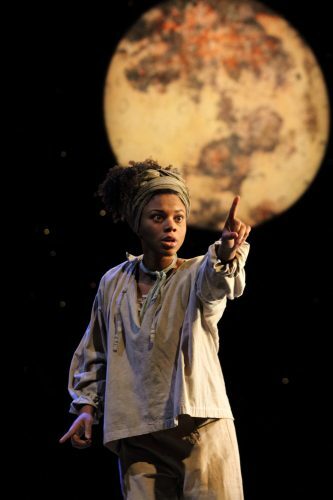 In justifying taking on the character of a man, she says: “People will use their imagination and people with no imagination shouldn’t go to the theatre”. In this context, Garfield conveys the message that if you can’t handle an inclusive cast, integrated access and the radical idea that many of the prisoners are deaf and communicate in sign – then you really don’t belong in any theatre setting. Equally, as the convicts become more conscious of what Phillip’s calls “the harmonising arts of civilisation” so the vicious Major Ross played with exacting cruelty by Colin Connor insists that the theatre project will lead to their charges beginning to think for themselves and to rebellion. Fiona Buffini’s production is not without its light moments. It is very much a play of two halves, with space for hilarity – especially in the form of Meg Long (Caroline Parker) who “can play any part you like.” Parker’s ceaseless innuendo and comic timing rules the first half. But ultimately, Our Country’s Good is a demanding but fruitful piece of work, that proves diversity can and does bring fresh and innovative ideas to the theatre.